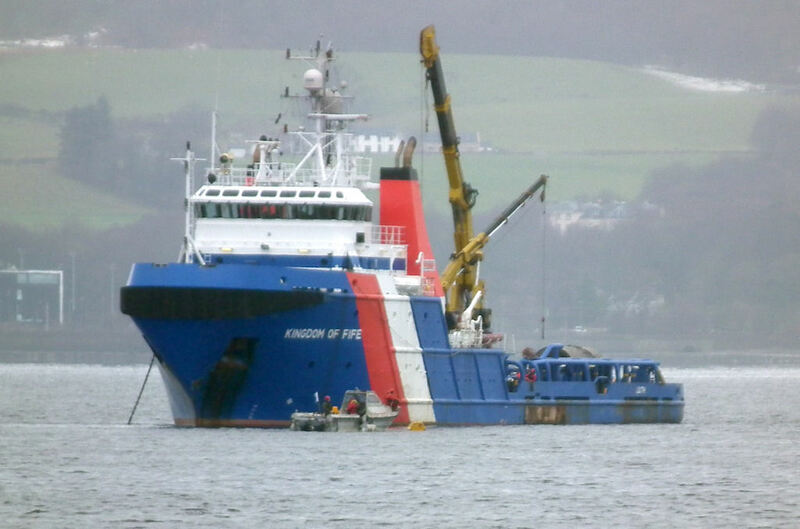 Briggs' Kingdom of Fife at work off Greenock Esplanade 13 March 2011. 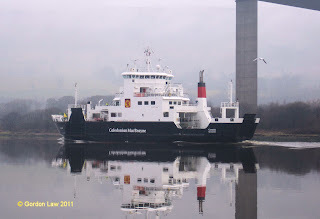 ClydeNavalGazing correspondent Gordon Law posted this copy 17 March 2011. "Got a tip-off that Coruisk would awake from her slumbers and proceed down-river today from KGV Dock, Glasgow at 0830hrs to Gourock. Note in a period of 2 hours the desperate gloom to sunshine – typical West of Scotland! 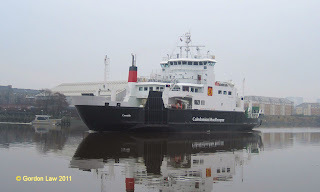 At Renfrew, Renfrew ferry to the left of the picture. 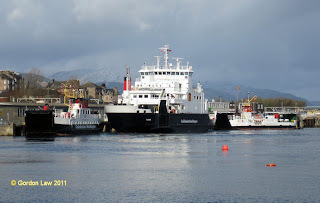 At Gourock, with consorts Loch Tarbert (on left) and Isle of Cumbrae. 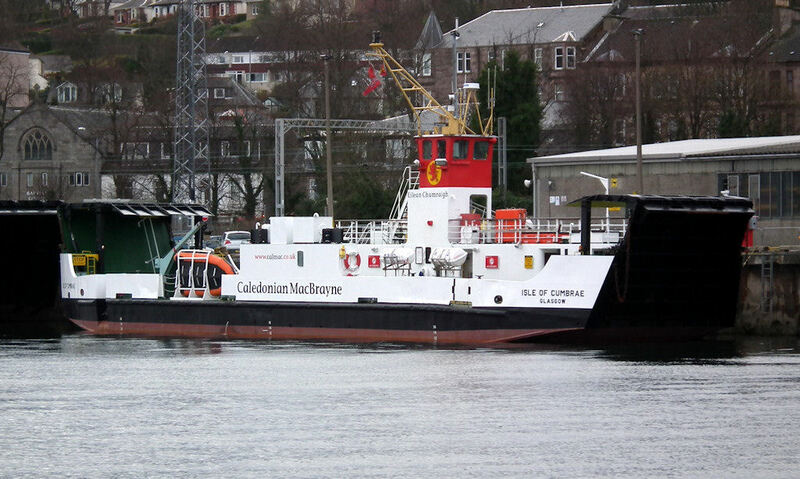 After work to her “fins”, Coruisk will head to Mallaig to take up her summer deployment. 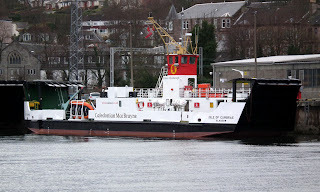 A fresh looking Caledonian Macbrayne's Isle of Cumbrae lies at Gourock 09 March 2011. Hard to believe that she has been in service since 1977! 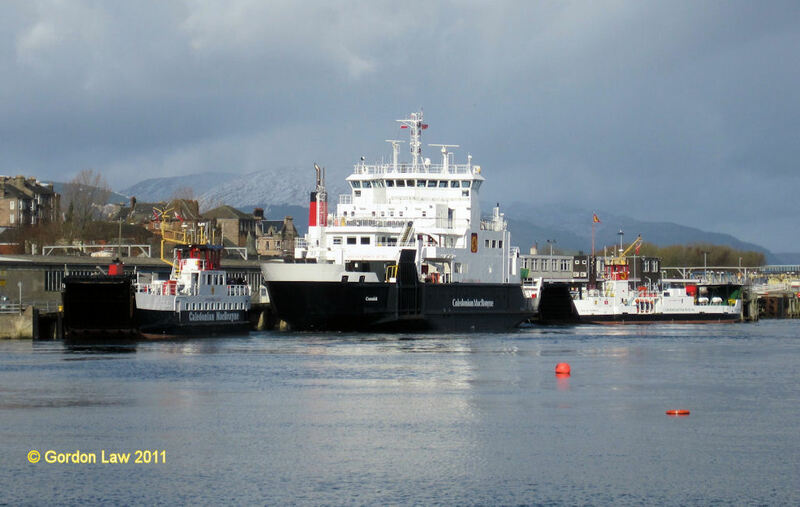 Caledonian Macbrayne's Loch Tarbert and Isle of Cumbrae await the summer timetable at Gourock 09 March 2011.